Examples of other honors include election to the American Academy of Arts & Sciences and the American Philosophical Society; receiving the prestigious McGraw Prize in Education, the U.S. Presidential Award for Excellence in Science, Mathematics, and Engineering Mentoring, the Columbia University Teachers College Medal for Distinguished Service, the GE African American Forum ICON Lifetime Achievement Award, the American Educational Research Association’s Distinguished Public Service Award, and the American Association for the Advancement of Science’s (AAAS) William D. Carey Award; being named a Fellow of the AAAS, Black Engineer of the Year (BEYA) by the BEYA STEM Global Competitiveness Conference, Educator of the Year by the World Affairs Council of Washington, DC, and Marylander of the Year by the editors of the Baltimore Sun; and being listed among Fast Company magazine’s first Fast 50 Champions of Innovation in business and technology, and receiving the Technology Council of Maryland’s Lifetime Achievement Award. He also holds honorary degrees from more than 30 institutions – from Harvard, Princeton, and Duke to the University of Michigan, University of North Carolina at Chapel Hill, Johns Hopkins University, Georgetown University, Haverford College, and Harvey Mudd College. With philanthropist Robert Meyerhoff, he co-founded the Meyerhoff Scholars Program in 1988. The program is open to all high-achieving students committed to pursuing advanced degrees and research careers in science and engineering, and advancing underrepresented minorities in these fields. 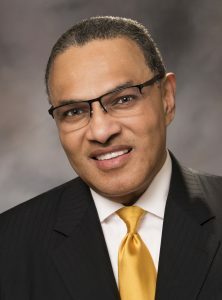 The program is recognized as a national model, and based on program outcomes, Hrabowski has authored numerous articles and co-authored two books, Beating the Odds and Overcoming the Odds (Oxford University Press), focusing on parenting and high-achieving African American males and females in science. His most recent book, Holding Fast to Dreams: Empowering Youth from the Civil Rights Crusade to STEM Achievement (Beacon Press, 2015), describes the events and experiences that played a central role in his development as an educator and leader.